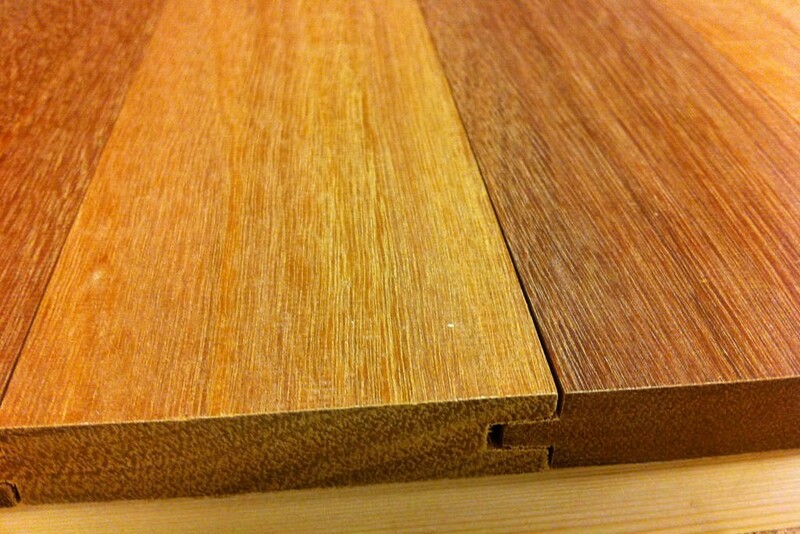 Garapa is a great value among the Brazilian hardwoods. While Garapa decking and garapa lumber is not as hard as some other Brazilian hardwoods, it is still about 30 percent harder than oak. The cumaru garapa has a honey brown tone with lighter and darker shades from yellow to a brown appearance. Garapa is lemon‐yellow, and becomes a light honey brown with age. There is a slight ribbon‐like aspect—watery, wavelike—a silky appearance. Garapa is naturally resistant to wood decay and insect damage. It also has a class “A” fire rating—identical to concrete. Garapa is naturally scratch resistant and has an estimated useful life of 25 years. 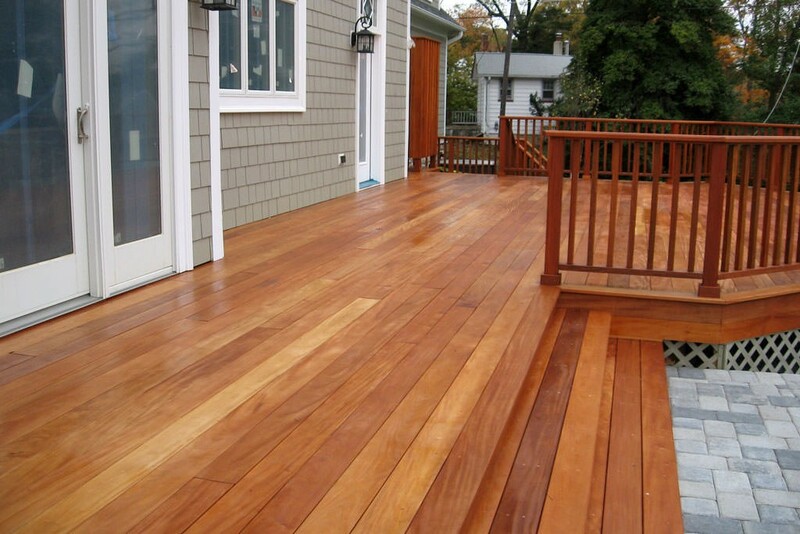 Deck oil preservation treatments will add additional years to the life of this very durable wood decking. It is comparable to Ipe in durability, grain, and workability, but it is an economical buy. Other than decking, Garapa is also used for siding, rain screen siding, fencing, ceiling paneling, soffits, docks, marine applications. Wherever a durable hardwood is required, garapa is there. Benches, pergolas, gazebos, exterior furniture and railing are also common applications. Garapa is available in decking dimensions such as 1×6, 5/4×6 and 5/4×4 on a regular basis but the market can fluctuate with accessories such as 1×4, 2×4, 2×6 and 4×4. 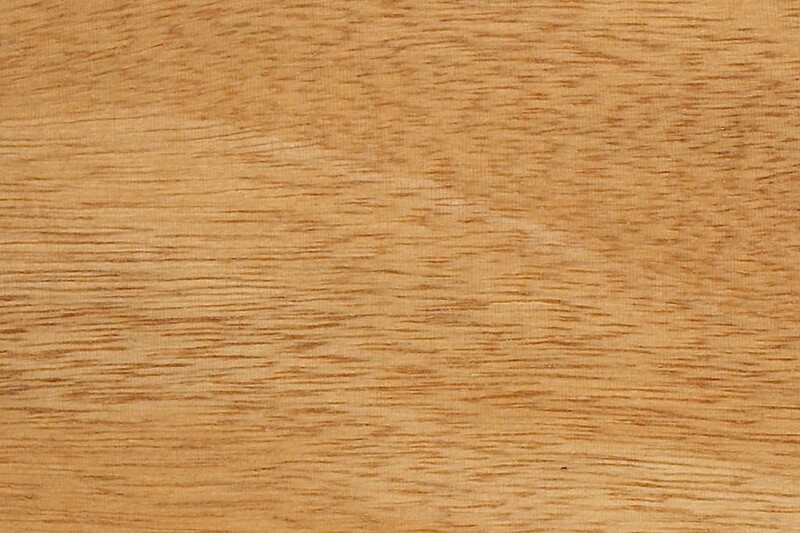 Garapa is a hardwood but it’s not nearly as dense or heavy as ipe and cumaru. Garapa is not as hard as other Brazilian hardwoods, but always drill pilot holes first. Pre-drilling is required prior to fastening with stainless steel screws. There are a few hidden fasteners on the market that are designed to work with grooved decking. These help avoid some requirements of pre-drilling. However, these hidden fasteners may also require pre-drilling at an angle on the edge of pre-grooved decking. While Garapa 1×6 is grooved quite often, we recommend extra care if you decide to use edge grooving for hidden fasteners. We highly recommend end sealing all garapa. Use products such as Ipe Seal or Anchor Seal (wax emulsion) on the end cuts. Keep the seal application on the end cut only, as the wax emulsion stains the deck surface. Air circulation and preventing moisture build up below the deck surface is an important aspect of preparation for your Garapa deck design. Most manufacturers recommend at least 2 feet of clearance from the bottom of the deck surface to grade (ground). Just take care and be aware of the local condition. Ask your local contractor experienced with Garapa or your SLS sales person for advice on any installation. 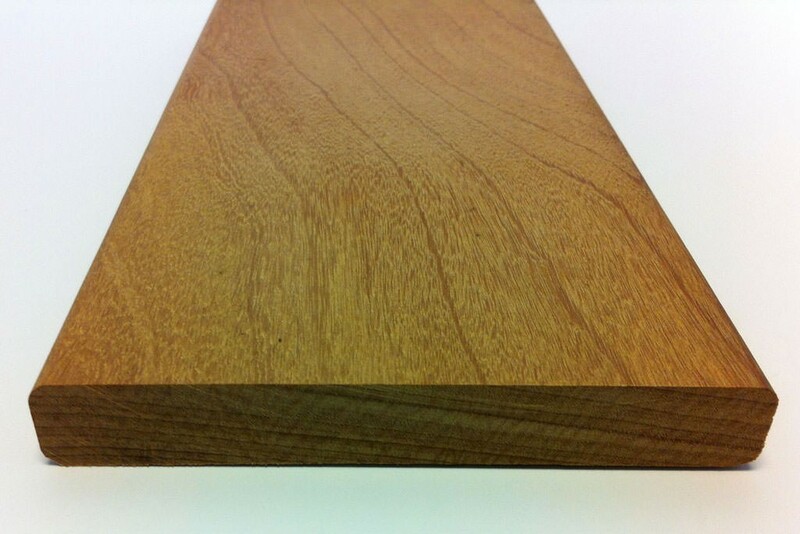 Garapa is beautiful, a light honey brown lumber that lasts for years, with proper maintenance. Garapa also ages beautifully, and weathered garapa is largely indistinguishable from grayed Ipe. Apply Ipe Oil every 12-18 months or so in order to maintain the natural brown tones. Sealing frequency depends on the amount of sunlight and foot traffic on the deck or siding surface. 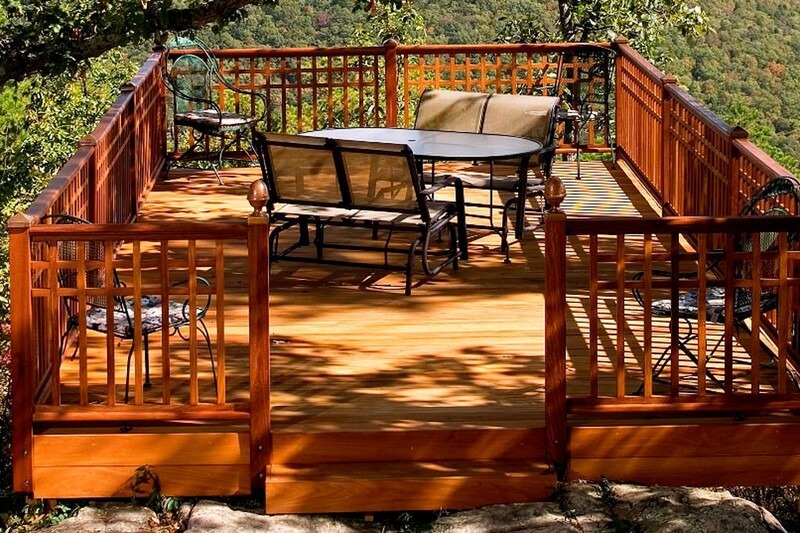 Many other products seal and protect your Garapa deck from the damaging rays of the sun. However, we feel the Ipe Oil is the best product for the job. Alternatively, the Garapa will turn gray as most woods will do over time. No further maintenance is required for the natural look. Just wash the surface with water or a pressure washer for a clean surface. 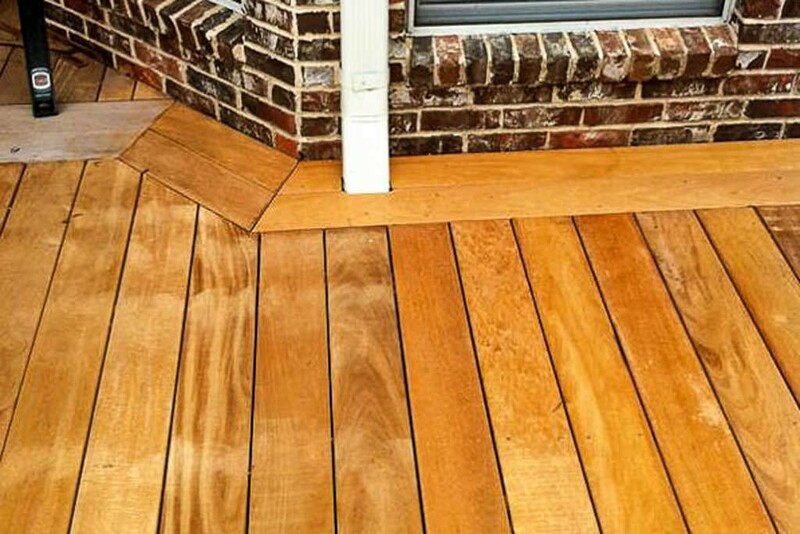 Should you happen to decide that you would like to bring back the light golden brown color after the Garapa deck has grayed out, this can be accomplished by using a quality deck brightener. The brown will be a darker than the original tone.